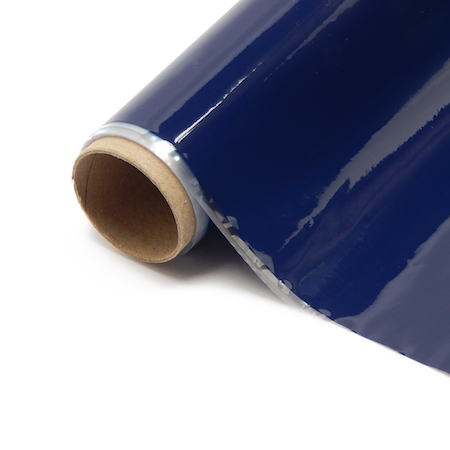 AeroFILM™ Navy Blue (Dark Blue) is a standard weight iron-on self-adhesive polypropylene film and is ideally suited for sport electric or glow powered model aircraft*. AeroFILM delivers a professional high gloss finish in an easy to apply product – forgiving low temperature application and exceptional rate of shrink. AeroFILM handles compound curves, wing tips, and domed shapes better than polyester and mylar based products. Our 2 Meter roll – ideal for larger projects! Length 78.8 in | Width 27.5 | Weight 1.5 oz. / sq. yd. *Not recommended for models powered by diesel or petrol (gasoline).